On a purely statistical basis, Jesse (Sonny) Wade did not put up great numbers in his ten year CFL career, throwing more interceptions than TDs with a mediocre pass completion percentage. On the other hand, he had to be doing something right to have a career that lasted ten years and in those ten years, Montreal went to the Grey Cup five times, winning three of them. Perhaps what Wade brought to Montreal was stability at the QB spot and leadership. 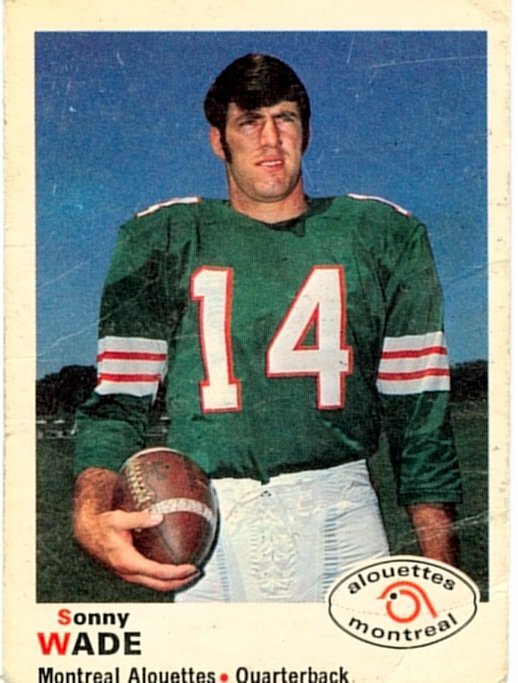 After the departure of Sam Etcheverry following 1960, Montreal languished at the bottom of the East division for most of the 1960s, with a string of less than memorable QBs. Wade arrived in 1969, the year the Montreal Expos played thei rfirst season in baseball, and stayed with Montreal until 1978. His rookie season was in some ways nothing to write home about, as he completed only 47.1% of his passes and threw 30 interceptions to only 12TDs. Still, he threw for 2719 yards which would actually turn out to be his career high. Montreal won only two games that year and finished dead last again in the East, but both Wade and Montreal improved in 1970. Wade upped his completion percentage to 52.8 and threw for 2411 yards to help Montreal win 7 games and make the playoffs. In fact, Montreal went on to win the 1970 Grey Cup under Wade, beating Calgary 23-10 in Toronto. 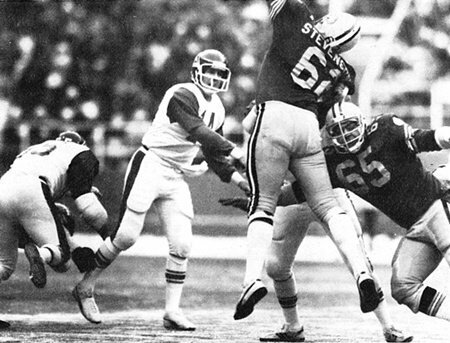 In 1975, Wade split the QB duties with Jones, but Jones was the starting QB for the 1975 Grey Cup rematch against Edmonton. This time Edmonton won in a low scoring 9-8 game. Jones was traded to Hamilton for 1976, and Wade took back the #1 QB spot, with a young Joe Barnes backing him up. 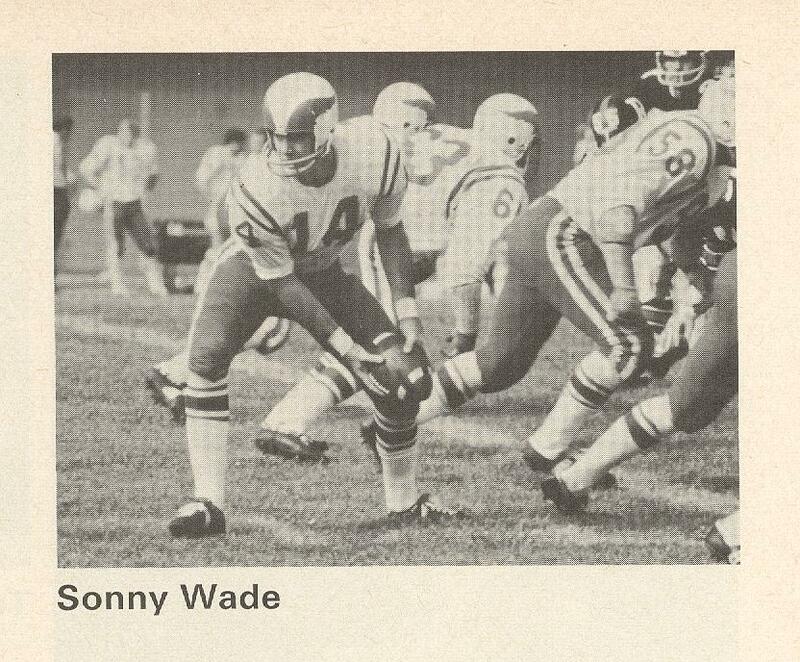 In many ways, 1976 was Wade's best year statistically as he completed 205 of 382 passes (both career highs) for a 53.6% completion rate and 2504 yards. There was no Grey Cup appearance, however, in 1976 which was the year of the Tony Gabriel last minute TD to lead Ottawa over Saskatchwan. In 1977, Wade split the QB duites more evenly with Barnes and the duo proved a highly effective 1-2 punch. 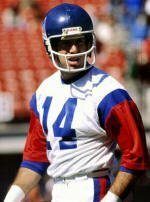 While Wade threw only 136 passes, he completed by far a career high 66.9% of them and the Als returned to the Grey Cup to play Edmonton once more. Montreal under Wade trounced Edmonton 41-6 and Wade had one of his best days in his career. He completed 22 of 40 passes for 340 yards with 3 touchdown passes. In his final season in 1978, injuries limited Wade to just four regular season games, leaving Joe Barnes and Gerry Dattillio to share the QB duties for most of the season. Wade returned for the playoffs and one final Grey Cup matchup with Edmonton. Unfortunately, Wade and the Alswere unable to repeat their heroics of the season before as they lost 20-13 to the Esks. There were no All-Star or individual awards for Wade, but in his ten years, he was the starting QB in two Grey Cup wins and that has to count for something. 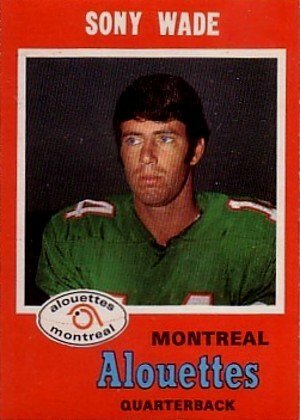 In 1979, Montreal wanted younger quarterbacks and Wade signed with the Philadelphia Eagles who had orignallly drafted him. The Eagles wanted a punter and emergency quarterback. Wade, however, was injured in training camp and that finished his playing career.